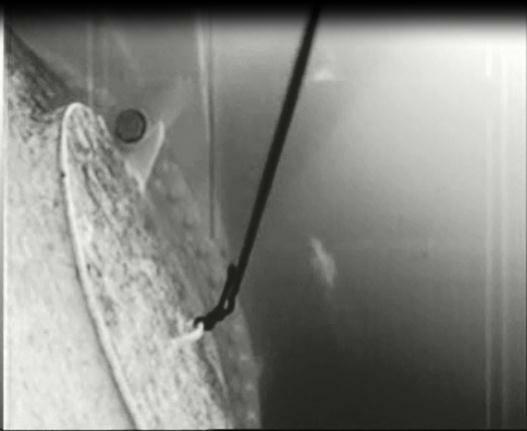 Diving bird captured on turbine video cameras. EMEC wildlife observational data for the Fall of Warness test site were used to identify periods of marine wildlife activity in the vicinity of the test berth utilised by Voith Hydro. For each sighting, the corresponding video footage was analysed for one hour after the recorded sighting. The video was played at twice normal speed and any significant events were noted down, including the presence of fish. Fish were observed on a number of occasions; however there was no evidence of marine mammals or basking sharks on the video footage. Fall of Warness HyTide 1000 Observational Data Informing Video Analysis is located in United Kingdom.